I have to admit Im a little jelly. Noone really was on Wings of Liberty... So I just played combat box. Ive been studiously avoiding playing against late war planes where possible... Considering the best Ive got is a Yak7B.. So I got ripped up. But I gotta say WOW. The P47 is GORGEOUS. And someone buzzed me (viz id almost shot me down) in a spit IX holy cow it was beautiful. The Dora and 109K were beautiues too but I only got fleeting glimpses of them. But wow talk about feeling ineffectual lol - those 109Ks, 190Ds, and the Spits and P47s.... You really really feel that 100 km/h speed difference trying to fight them. The models are beautiful though again wow! So fly axis on late missions until you get bobp, and your not at any disavantage. I gotta say, another holy cow and a WOW. Is this another one of Sublime’s appeals for sponsorship, amirite? Something something give a man an inch and he’ll take a...? No i dont want anyone to gift bobp thats too much. I dont really mind Im actually fairly excited about how BP works. So youre saying the G4 is actually a worthwhile contender versus Spits and P47s? Im surprised - I didnt even bother trying the G4 seeing as how 109Ks, Doras, G6s and G16s or whatever were around. What are you saying BnZ right with the way the p47 flies? I gotta say, another WOW. Is this another one of Sublime’s appeals for sponsorship, amirite? I actually really just was impressed and wanted to talk about the planes, about the server maybe, and as Count did brinf up whether youre hamstrung and how bad in late war. I mentioned all three of those. Ive thanked the ppl who helped me profusely and Ive also said I planned on paying it forward. Do me a favor and put me on ignore though - putting words in my.mouth (sponsorship? Really) and assuming Im just some leech dirtbag is really nice though. Thanks Bilbo. Sublime, unless the P47 is above 20,000ft. it is an utter dog. If you are in a G4 and see a Jug at low level you can easily best it. I've been playing on Combat Box without BoBP, on allied side no less, and its still fun. I tend to run fighter- bomber missions with the P-39 or Yak-7, attacking AA and soft targets. If I get intercepted I drop my bombs, go defensive and try to put a reversal on my attackers. I took out a couple of late 109s in the P-39 and Yak-7B last night, so even though you're outclassed on the allied side. If you can get a late 109 into a knife fight with you in a Yak-7 it doesnt seem to matter much if its a G14 or a G4. At the very least you can occupy the enemy for long enough for help to arrive, which happened to me more than a few times last night. 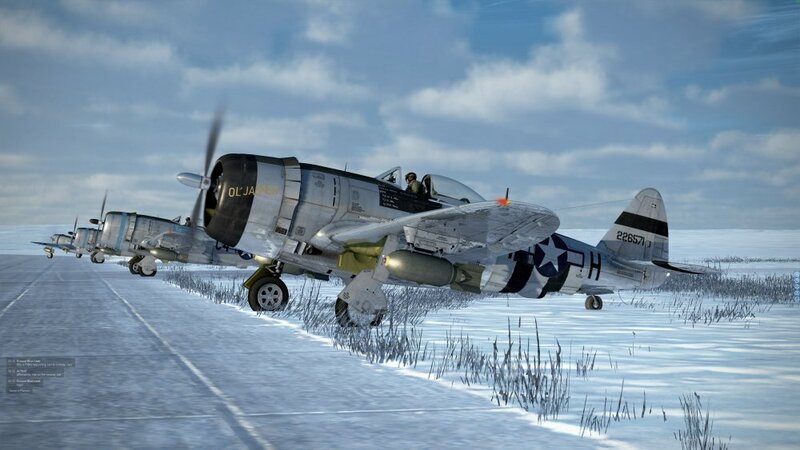 On your combat speed in G4 your as fast as P-47 on combat speed, and he can use it only 15 min, and you dive as fast as him, climb better (if he dosent use magic flaps) turn better and roll better, but 190 is more effective if you wont to Bnz, thouse later variants you get in bobp for axis are all overkill for what red side has now, you can fight them with bos fighters if you have them on mission, but when you have g4 take that. also for spoting i found its easyer to spot contacts that are below you then abow you, just yesterday i was on 6-7km altitude in lagg3 and i could see guys on 1-2km below me and i could not spot 109 at 9km altitude as i saw him only when he was 1km from me and already diving on me, so for bnz its not so bad as if your highest you have advantage of seaing better guys below you, i guess blured ground and gamma has something with it. No I still had a blast. I mean seriously Ive gotten like 3 assists and 3 kills ONLY a2a online. But I havent seriously played online till this weekend. That said SP while Ill still do career mode.. My god the rush and heart beating I got from those kills. Those kills were SO gratifying I found myself thinking about them on the bus. 109 - Pe2. Shredded me. I hit him bad. Didnt even know I killed him. Yak7B - 109. My favorite because it was a fighter. He was new though. Still was a joy. As I was gonna RTB a sturmovik appeared out of nowhere. I raced in and let him have it. Right wing root and where the bulge for landing gear was. I got lotsa hits but its an Il2 and I ogershot. Pleased as punch when he augered in witb a fireball. Then me and the guys there (really friendly nice guys both servers btw. Shoutout to the Combat Box guys last night too arnd 11pm EST) wondered wtf an IL2 was doing there hehe. I do have some trouble taking off in MP. Idk why. Its weird. Whats weird is Ive found for 109s the best way to countersct the torque and avoid ground loops is actually to ram the throttle forward. You accelerate really fast and it kills the torque well.. However I always seem to lose control with the Fw and yes Im locking the wheel. I can take it off in SP but MP Idk I cant? Then again maybe its practice. In WoL I crashed on take off about 7 110 Es before I finally got off LOL BUT I did blow the crap outta that transport column. My problem strafing is greed. I get greedy and fly too low. Id also like to add to the community at large. First of all sorry for the many posts. I talk alot IRL and Im from Boston. We.re nothing if not blunt. If anyone thinks my aim was to mooch sorry but no. I guess I can see why itd look that way - if you didnt give me the benefit of the doubt. So let me clarify. I dont think anyone would turn down anything free. I guess maybe I should have left the whoooeee out and put late war planes in MP and not be accussed of this nonsense. The postd about ppl gifting me stuff wasnt to crow - maybe it was inappropriate, idk, I was tryng to honor those peoples generosity. So lets be clear. I want to give to the community. Ive been gifted plenty. And I keep my word. 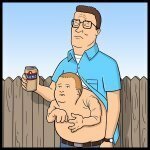 However I am between jobd and have an 8 yr old son, who games. i cant justify spending money for games for me when moneys tight *now*. Of course this is temporary. Thank you to the people who werent rude or didnt assume that this was some weird "buy me stuff" thread. Look we all like the ganes and planes. Im new to this version of Il2. So sue me, I was impressed of my first in game experiences with the late war fighters. Im not going to comment on this anymore - I dont expect anyone to take my word for anything - but Id also appreciate it if people actually didnt assume or speak for me and if theyre going to accuse me of such dirtball behavior then call me on it as a question not as a statement. Well in real life the P-47 had a similar sustained turn rate as the 109G series (without flaps). The problem is the 109s can just use stabilizer and get a crazy fast turn. If the P-47 has no room to maneuver and he's loaded down with fuel/bombs then yes he's gonna be pretty easy to beat. If he has any room to dive and gain speed he'll be some trouble for you imo, so just try and surprise him or get him slow and in a turn fight. Don't dive from the Jug but do a slow steep climbing turn, Jug can't follow as far as I know. Yep - and yes that Jug is GORGEOUS! TBH, I think the Jug is better looking than the Mustang. Agreed. 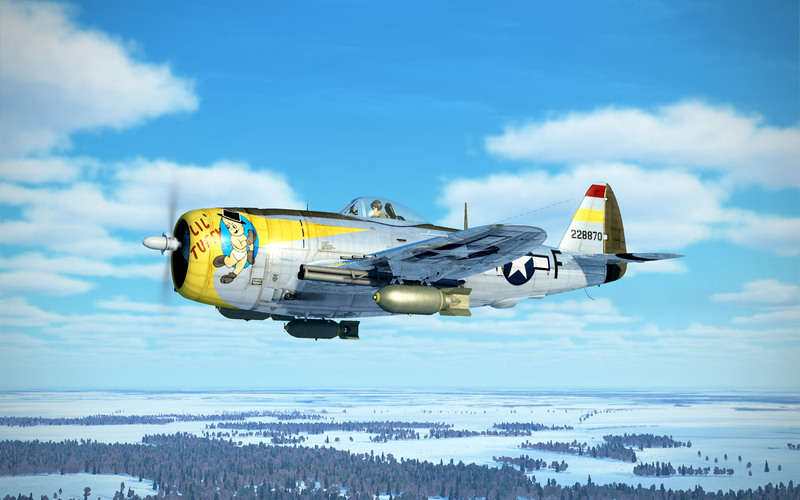 Not sure why but I prefer the Razorback when it comes to P-47s. P-51 remind me of a nice sports car but P-47s have that American muscle look to them. Not sure why but I prefer the Razorback when it comes to P-47s. Same can't be said for the razor-back Mustang, as the British had a huge hand in it's conception, development and the motor that made it go properly was British, albeit licence built in the USA. I will be careful not to break Rule 12, however, I understand that you wouldn't turn down things that are being offered freely and of course that is understandable. That said, in my dictionary being offered gifts freely, is not approaching players with the terms and on what grounds you expect these gifts to be given. For me this is certainly not asking for sponsorship and perhaps is just taking the ****. Being blunt is one thing, being a rascal is another, although "nefarious" and "leech" are perhaps not the words that I would have used, although I have taken some of your advice above and added you to my ignore list. someone buzzed me (viz id almost shot me down) in a spit IX holy cow it was beautiful. Hey I think that was me in the spit!  On combatbox? You were RTB low on the deck in a yak and I blasted past you from your six and underneath you then up into the blue out in front right!? Maybe about 10 min before server reset. but oh wait I never shot at you. I was coming up fast and thought you were a 109 but realized you were a yak about 200m in gun range and buzzed through!! People are smoking that sheeba that prefer razor back anything, low backs and bubble tops all the way. Did you forget about the Whirlwind? That Swift looks about half way to a true bubble top, since the whole canopy cannot be pushed back in one piece, unlike the Whirlwind. (Which is an exceptionally cool aircraft - pity it did not make it into wider use). No I didn't, the Whirlwind canopy was still a greenhouse and not a true bubble, at least the way I see it, or are the canopy frame spars just painted on? I reckon the British were well ahead with the "Malcolm hood" on the Spitfire and that lay the foundation for the bubble canopy they produced for the Typhoon. 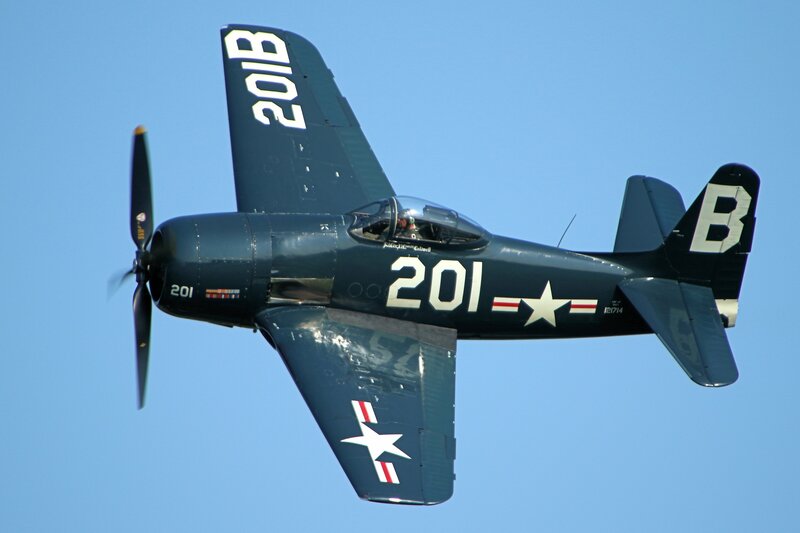 That's taking "pretty much" fairly far and much as I love the Bearcat, it never saw action in WW2 and I personally think it's as far away from the Hellcat as the Hellcat was from the Wildcat as they all have major design differences. 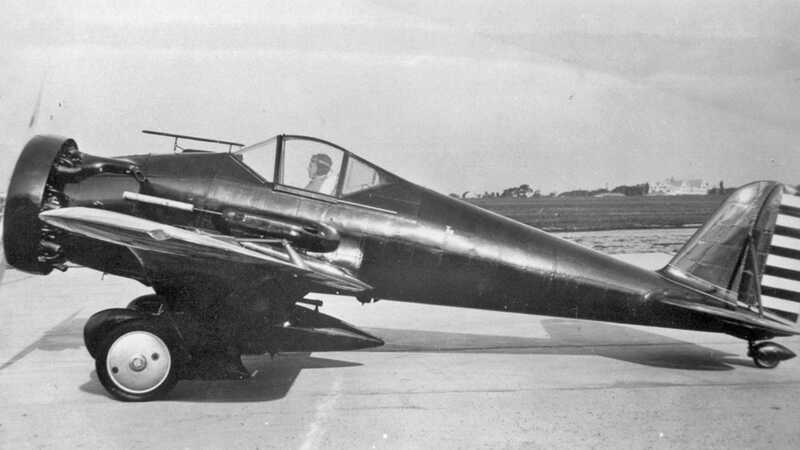 The Ki-43 "Oscar" had a similar arrangement to the Whirlwind, but it still wasn't a true bubble canopy. All said and done, the Whirlwind was close, but the Typhoon was first with a true bubble canopy. Fantastic. You coulda pm.d me and violated whatever rule 12 is I could really care less what you think if youre going to assume whatever. Anyone else who wants to play morality police and put words in my mouth or assume things (exactly where in this thread did I ask for BP?) That are automatically negative. I could see if you discussed this with me and then reached that conclusion. But you guys dont even know me man. Thats a trip it almost looks. Stuka-ey. Im *VERY* much also looking forward to how the Tempest pans out. Frankly the rest of the Bodenplatte planes are beautiful and cool etc etc. But Ive flown all of them heavily in other Il2s or sims. The Tempest and P38? Not so much.. Thank you. Really. And Count, Gambit, RedKestrel, and the rest of youse. Its nice that people figured maybe I just was using a BB for discussion..
You could also argue that the early Fw-190 had a bubble canopy, but it didn't as it was made of 3 parts not one. 3 parts? The perplex was one piece. I wondered about this too. For the A3 theres the front windscreen and as far as I recall the rest of the canopy is one piece that slides back. If you see screens of a LA5FNs 6 o clock you can see some dividers in the armored glass but those wouldnt help you in a turn. That's because you're a person of taste and sophistication! If anything is "perplex"ed it's you Early Fw-190 canopies had 3 sides, left, right and top...bubbles don't have sides any more than they have panels or spars. 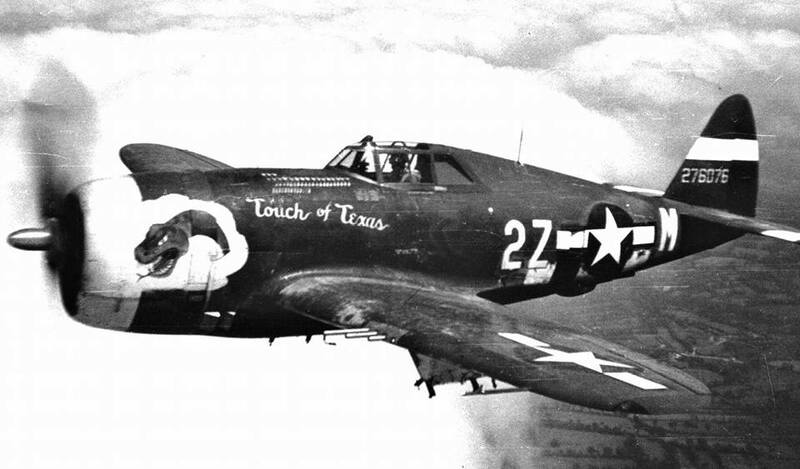 All the P-47s produced to this point had a "razorback" canopy configuration with a tall fuselage spine behind the pilot, which resulted in poor visibility to the rear. 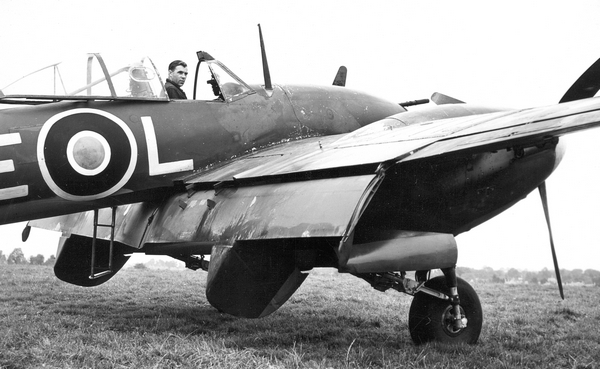 The British also had this problem with their fighter aircraft, and had devised the bulged "Malcolm hood" canopy for the Spitfire as an initial solution. This type of canopy was fitted in the field to many North American P-51 Mustangs, and to a handful of P-47Ds. However, the British then came up with a much better solution, devising an all-round vision "bubble canopy" for the Hawker Typhoon. USAAF officials liked the bubble canopy, and quickly adapted it to American fighters, including the P-51 and the Thunderbolt. the British Miles M.20 was one of the first aircraft designs to feature a true one-piece sliding bubble canopy. Olive drab and razorback is the best looking combo for P-47s and P-51s(in my opinion)! P-47 razorback with it's split windshield reminds me of cars of late 30s - early 40s. Looks badass!